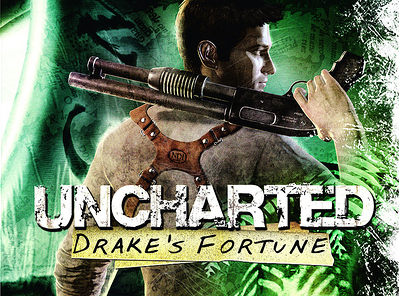 Sony Pictures has confirmed that Director David O. Russell (I Heart Huckabees) has signed on to write and direct the movie adaptation to the PS3 game “Uncharted: Drake’s Fortune”. CULVER CITY, Calif., October 8, 2010 – David O. Russell (Three Kings, The Fighter) has been set to write and direct Columbia Pictures’ Uncharted: Drake’s Fortune, an action-adventure based upon the bestselling PS3 game, it was announced today by Doug Belgrad and Matt Tolmach, presidents of Columbia Pictures. The film will be produced by Avi Arad, Charles Roven, Ari Arad, and Alex Gartner. Now I have never played Uncharted before but friends tell me it is one hell of a game. This entry was posted on Saturday, October 9th, 2010 at 12:04 pm	and is filed under Film. You can follow any responses to this entry through the RSS 2.0 feed. You can leave a response, or trackback from your own site.